Will training be provided with my purchase? We are proud to provide each customer with comprehensive training as part of their purchase. Conducted as part of the delivery we endeavour to cover everything you will need to know to ensure ease of use and a long life for your Scooter. Information covered includes controls, use, maintenance and most importantly in-depth safety instruction. The timing of this training also allows for us to personalise it to particular challenges and factors you will face in your area. Is Delivery included with my purchase? On the most part, you will find that delivery is included as part of your Scooters Australia Brisbane Purchase. Our in-store advisors, are well versed in the processes and will aim to give early warning should they see that delivery might come into the equation. Remote locations where delivery is less accessible is the most likely reason for a cost to be incurred. In store staff will be able to talk you through this, however, if the situation arises. Delivery of other health and mobility equipment may include a small delivery charge. How much will my scooter cost? As with any major piece of transport equipment, the price can be quite variable depending upon what you need out of it and what features your chosen scooter includes. For a regular customer looking for a mid-level scooter that will be durable and reliable, they will most likely spend between $2000-$5000. The price range, however, can go as high as $8000 for a top of the line model that will perform well in demanding situations or for cheaper portable models down to around $1400. Like all modes of transportation, users should always keep vigilant of danger and obstacles. Statistically speaking, compared to vehicles or even pedestrians, scooters fare very well in terms of safety. This is due to the fact that mobility scooters are designed for those who lack mobility so are built to be easily controlled and therefore safely transport users on footpaths. Below are some of the features that lend scooters to a high level of safety. – Acceleration and braking controlled centrally from the finger throttle. – Simple steering mechanisms make it easy to steer and control. – Fail safe braking system. – Short braking distance – within the wheel base. – Downhill travel regulated by automatic braking. It is important to ensure that the scooter you have purchased complies with Federal Government regulation from the Therapeutic Goods Administration which means the scooter has gone through rigorous safety testing. Also keep in mind the comprehensive training we offer which will give you all the necessary knowledge to get back out and about safely. This is backed by the safety certification you receive as part of our training. The terrain is one of the biggest factors that can affect your decision on the type and size of mobility scooter. Due to this, it is very helpful if you have an idea of where you travel most often and whether the way there is demanding in term of slopes and obstacles. Faced with a slope of 1:5 you will find that an average size scooter with an average payload will be able to comfortably deal with it. In comparison, more powerful scooters will successfully deal with 1:4 slopes. Smaller compact models may be only suitable for flat ground and if used unsuitably may void the warranty. Considering that most ramps encountered in real life will be closer to 1:14 you can have confidence most scooters will confidently fit the bill. Although it would be logical to assume the motor was the biggest effector of power it is actually the amperage of the electronic controller that can impact performance the most. How far will my battery take me on one charge? The distance traveled on a single charge is impacted not only by the way you use it but also the technical specifications of your chosen scooter. Notable differences will come from the size of the battery (amp/hours), weight of the user and steepness of terrain. All batteries will see their performance gradually decrease over time. At a 75kg payload on a regular path, a mid-sized scooter with a standard battery will see 25kms before requiring another charge. A larger battery will allow for up to 45kms between charges. What is my batteries durability like? Variability also affects your scooters battery in the long term. A general guideline of two years is typical for a well-maintained scooter. The major factor is charging. For the best result, your scooter should be charged nightly as it is damaging to the battery for them to be left for long periods in a discharged state. The battery chargers are designed to automatically cut out at capacity so there is no need to worry about overcharging if plugged in and left on. Apart from managing the charging of the battery, there is no subsequent maintenance needed to look after your scooter’s battery. Do I need a License for my Mobility Scooter? In Queensland it is a requirement that you register your mobility scooter if you plan to use it in public areas. This service is free and can be carried out by our staff at Scooters Australia Brisbane or by visiting your nearest Department of Transport and Main Roads. 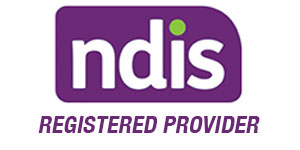 The purpose of the registration is to provide free third party insurance for the authorised user. All that is required from you is a note from your Doctor, Physio or Occupational Therapist stating that you would benefit from a mobility scooter or powered wheelchair. It is also important to note that when you are using your mobility scooter on footpaths you will follow the same road rules as pedestrians. Further information can be obtained by visiting the QLD Transport website link below. How often will my Scooter require maintenance? It is recommended by manufacturers that you have maintenance performed annually to avoid accidents as well as to safeguard your warranty. Scooters Australia Brisbane is able to perform this maintenance wherever is easiest for you whether at your own house or in our fully equipped workshop. Our highly qualified technicians can perform a service in 1-2 hours. This will also ensure that your scooter will be ready to perform when you need it. It should be noted that scooters put in demanding situations such as tough terrain or heavy payloads can require major overhauls every 3-4 years. I have seen both 3 and 4 wheels models. Is there a difference? In terms of the two designs, you will find there are slight differences in each that may push you to decide one way or the other. In four-wheeled designs, you will find slightly more stability over rougher terrain and around sloped corners. Three wheeler’s offer riders slightly more leg room and can be better suited to manoeuvring in tight areas. Stability, however, is usually the big worry and although it may seem one or the other may have the edge, in reality there is not much difference. Each model has a slightly different width and centre of gravity which will impact the overall stability no matter the number of wheels. Generally, those less confident in their driving ability would be recommended to buy a four wheel version. Is it possible to Insure my Scooter? It is possible to comprehensively insure your scooter. Scooters Australia Brisbane can help you arrange for this through Blue Badge Insurance. If you would like more information you can find this at www.bluebadgeinsurance.com.au or ask in store for help from one of our in-store advisors. Most other insurance companies have provisions for insuring mobility scooters like RACQ, APIA etc. You can often have the scooter added as a special item to standard contents insurance also. It is best to speak with your current insurer to discuss your needs. Does my Scooter come with a warranty? Where is the best place to start finding which scooter will suit me? There is no better place to start than by coming in and visiting us at our showroom in Chermside. Come in and have a chat with our delightful staff to see if you might benefit from a scooter. If you are presently struggling with your mobility you have nothing to lose. Don’t put off being able to take your independence and freedom back. Our team would be happy to see you and to offer their expertise. With a smile of course!